26 Apr It’s time for Retail Renaissance and not Retail apocalypse!! – How mall owners can help their tenants? Let me for a second give it a new dimension i.e. instead of calling apocalypse, let’s view it as an interesting times, a renaissance which is going to push both retailers and landlords to their limits to re-invent & re-engineer themselves for brighter future. Albert Einstein once said, “Insanity is doing the same thing over & over again and expecting different results”. b)Competition from other malls as they try to lure tenants/brands with attractive rent free period options in order to retain tenants in their malls. c)Small retailers are shutting down, bigger ones are not expanding and new brands are being very cautious to enter the market in the current scenario. They prefer playing wait & watch a game. As a basic premise to deal with any challenges is to have forward looking & positive mindset. Consider current scenario as Retail Renaissance i.e. the natural evolution of life and business. If stores can’t adapt to changing trends and technology, they will die of natural causes. If malls fail to impart an exceptional customer experience which millennials desire then they would too fail. Oftentimes, you walk out of the stores empty-handed, frustrated, and feeling like you just wasted your time. These mass experiences with mediocre customer service are exactly what we are trying to get away from! Instead, World is moving towards personalized experiencesthat are tailored to our every need. How Landlords can help retailers/ brand owners? a)Collaborative partnership: Gone are days wherein landlord and tenants used to meet only at their annual day gatherings, today time demands them to become partners with their tenants and understand their problems by being brand’s partner in crime. Today mall’s manager needs to spend time with their tenants in their stores and understand the key issues pertaining low sales and low feet-ins. Become brand’s partner and consider yourself as an extension of Brand’s marketing team. b)Using data analytics to resolve tenants/brand’s issues: Most of the tenants are contractually bound by submitting their monthly sales to malls regularly, this data is generally discussed at the time of lease renewal or negotiation meetings. How many landlords are using this information of daily, weekly sales to help their tenants to come up with a collaborative approach to resolve issues or take corrective action? Historically the business model for the shopping centre industry has been to connect consumers and retailers physically. It was the retailers’ job to convince consumers to buy something. That model is shifting as a result of technology. The real estate owner or mall developer now has a large part to play in connecting the retailer and consumer both physically and digitally, and to do that mall would need a direct relationship with the consumer. 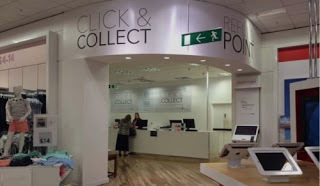 The current lounge of “CollectPlus” is the result of Westfield’s initiative which they undertook in 2011, by launching an online mall (and later a mobile app) with 150 stores, 3,000 brands, and over 1 million products. Driven by the knowledge that 60 percent of the 1.1 billion annual shoppers in its malls use mobile devices, Westfield also created a research lab located in San Francisco, with the mission of finding technology applications and services that can further enhance the retail experience for both shoppers and retailers. Installing Beacons in the Common Area of Shopping centre: Most of the mall owners & shopping centres have embraced mobile apps, they can install beacons to identify hot and cold zones within their malls and share useful insights with their tenants to increase their sales. A prominent leading group, owning malls in KSA (Arabian centres, part of al hokair group) uses mobile phone tracking data through its apps to identify hot and cold spots in their malls and works closely with their tenants in those areas to improve their sales. “Create a place that will become the centre of people’s lives”. I think this sentence sums up the key message of the above article beautifully.